Home » Apps , Audio , Backup , Blogger , BSD (Berkeley Software Distribution) , CentOS , Chat , Compiz Fusion , Computational biology , Data storage , Databases , Debian , Math , Statistical Software , Ubuntu , Ubuntu Derivatives , Unity » Top 10 blog posts for Aprile 2014 from Linuxlandit & The Conqueror Penguin. 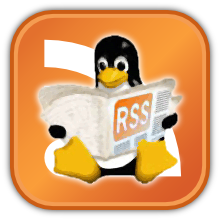 Top 10 blog posts for Aprile 2014 from Linuxlandit & The Conqueror Penguin. 2.- Running Unity 8 on Ubuntu 14.04 and Virtual Box. 3.- Dicelab is a tool to calculate the probability distribution of dice rolling schemes. 4.- CUC³ covers an exceptionally broad range of topics in theoretical and quantum chemistry. 5.- COQ is a Proof Assistant for a Logical Framework known as the Calculus of Inductive Constructions. 6.- Concalc is a calculator for the Linux console. 7.- How to customize a repository on a USB key. 8.- How can I install software or packages without Internet (offline). 9.- Lemon is an open source point of sale for Linux and other unix systems. 10.- Circlepack is a c program for the creation, display, manipulation, and storage of circle packings using the x window system.